Sunshine State Sarah: Yawn. The news we all knew was coming. Yawn. The news we all knew was coming. Democrats, you can have him. It's official. 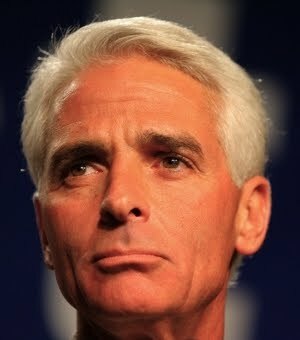 Our former governor and World's Tallest Oompa Loompa, Charlie Crist, became a Democrat today. Anyone who posted this news on Twitter as "BREAKING" as anything other than tongue-in-cheek should be thoroughly mocked, as this was one of the most predictable moves in politics since dinosaurs crawled the earth. It was just a matter of time. Charlie Crist is becoming a Democrat. Crist — Florida's former Republican governor who relished the tough-on-crime nickname "Chain Gang Charlie" and used to describe himself variously as a "Ronald Reagan Republican" and a "Jeb Bush Republican" — on Friday evening signed papers changing his party from independent to Democrat. Glad our Golfer-in-Chief had a fist bump ready to congratulate ol' Charlie. (This really is an administration full of unserious people.) That's swell that they are such good buddies. Enjoy him, Democrats. Charlie is peppy and smiles a lot and likes giving speeches and meeting people and going to parties. He'll be fun for now. Just don't count on him to keep any promises. Ask the Florida legislators who were pressured into supporting bills by the Governor's own staffers, only to watch him turn around and veto the very same bills to score political points. 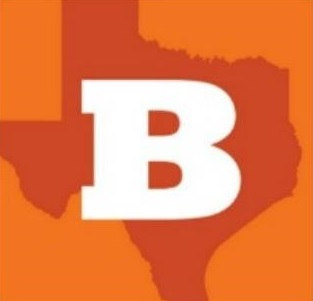 I strongly believe any estimations of Charlie's political viability in this state will take a nose dive the second any serious primary contender starts running ads with all the years of Governor Oompa Loompa claiming he was such a staunch right-winger. UPDATE: Here are some of the tweets I've seen tonight on the topic of Charlie's "coming out of the closet" as a Democrat. Enjoy! Thanks for proving me right again! RT @charliecristfl: Proud and honored to join the Democratic Party in the home of President @barackobama! So when does this Jim Greer trial start? Charlie sure does know a good leader when he sees one. Hey Charlie Crist, if you're looking for someone to hear your sad stories of political irrelevancy, Meghan McCain is one phone call away. Oh no, Charlie Crist joins the Dems. I'll try to pick up the pieces and carry on. My longtime readers know I keep a library of political mailers going back about 20 years, and guess what? I have little Chuckie Crist’s mailers, too. Remember back in the day, when Crist was all conservative-like. Maybe you do, but most voters do not. What if someone mailed Crist’s mailers from 2006 to Democratic supervoters now, and another one every so often, right on through the Democratic gubernatorial primary in 2014?